The first thing my kid does when she gets home from preschool is kick of her winter boots and take her socks off, exposing her cute, precious feet. I follow shortly thereafter. I do not take proper care of my feet, thus they are neither cute nor precious. During the year, if the temperature is warm enough, I wear my dress shoes sans socks. I’ve never had a pedicure (I don’t like people touching my feet). I’ve never done the “Vaseline in the sock” trick – mostly because it sounds so messy, not because I don’t need help. Every winter I end up with dry, cracked heels. Gross to look at and itchy as well. 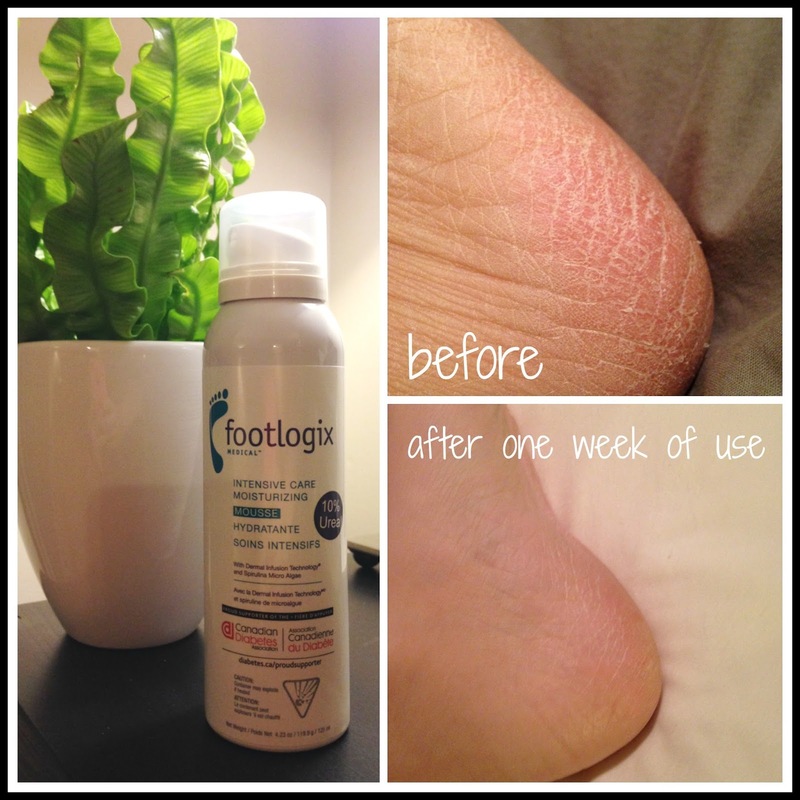 So when I heard about when I heard about Footlogix Medical Intensive Moisturizing Mousse, I knew I needed to give it a try. 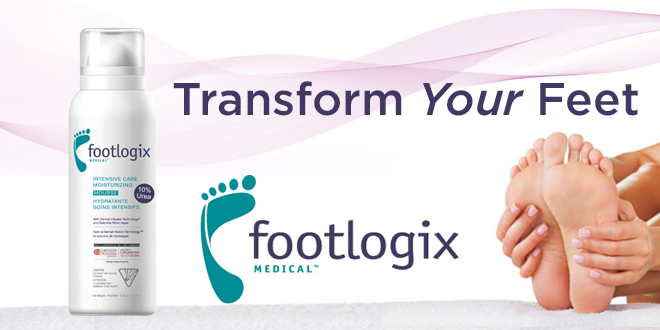 Footlogix Medical® is a mousse, so it's easy to apply – it's not greasy and absorbs very quickly. You don't have to sit around waiting; you can just apply and go (or in my case, apply and go to sleep). I actually feel it soothing my feet, especially after a long day of walking and wearing thick winter socks. 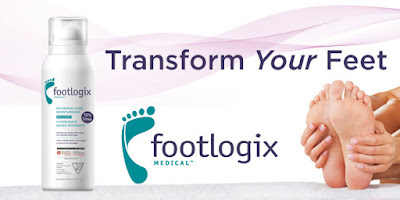 Footlogix Medical™ is formulated to carry the active pharmaceutical ingredients right into the layers of the epidermis, reaching the targeted areas of the foot and bringing relief right where you need it. Its hygienic applicator system is sealed to prevent air from entering the container; so, as your damaged skin is repaired, it is also protected from infection. It’s also safe for people with diabetes to use – which is important as diabetics often have low circulation in the legs and feet, causing swelling and dryness. After a week of use, my feet look SO MUCH BETTER! I will definitely continue to use this product I am especially excited to show off my feet this summer. Or you know, not be embarrassed of my feet on the pool deck when my kid starts her swimming lessons in a couple of weeks. 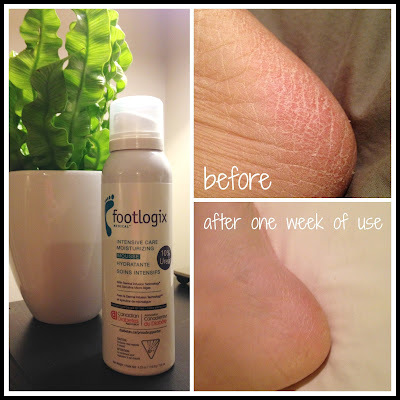 I’m so happy Footlogix Medical™ is now a part of my beauty regime, no more Shrek-like feet for me! Pick up a bottle of Footlogix Medical™ at your Walmart in the pharmacy, found in the diabetic section or behind the counter. I know I’ll be picking up some for my Mom – she’s already jealous of my results. It’s time to treat your feet and put your best foot forward! Be sure to enter to win a $250 Spa Gift Certificate! Here is a link to the contest: https://footlogixmedical.sharing-online.net/AD2158.